Fibre in your hands isn’t simply colourful. It isn’t simply pleasant to the touch. But it is simply… there. And that’s all that really matters. That’s one of the reasons she organized the first Kootenay Fibre Arts Festival in 2016, and why it’s now back for a third year, running April 28 at Wynndel Hall, with the theme “Simply Blue”. She was also interested in bringing the Kootenay region’s many fibre artists together in one place. The festival, sponsored by the Creston Valley Arts Council, is for more than just avid fibre artists, though. In addition to enjoying a gallery and fashion show, newcomers to the world of fibre will have the opportunity to buy carnival-style tickets, allowing them to visit stations where they may attempt skills such as needle felting, wet felting, tatting, free-form crocheting and more. Those who want to really get their hands dirty — or blue, in this case — can preregister for Indigo Jam, a workshop with weaver and dyer Gale Anderson-Palm from Rimbey, Alta., who will lead participants as they tie, clamp, stitch, resist and dye a metre of organic cotton. “One of the things Gale always says is, ‘Happiness is blue hands,’ ” says Ditzler. Anderson-Palm’s grandmother introduced her to sewing and embroidering at an early age, and she later explored weaving. She studied indigo at Alberta’s Olds College, and travelled to Japan in 1988, studying the techniques of ikat and shibori at the Kawashima Textile School in Kyoto. She has since taught and studied in Nepal, Tibet, India, Peru, Mexico, France, Bhutan and Morocco. 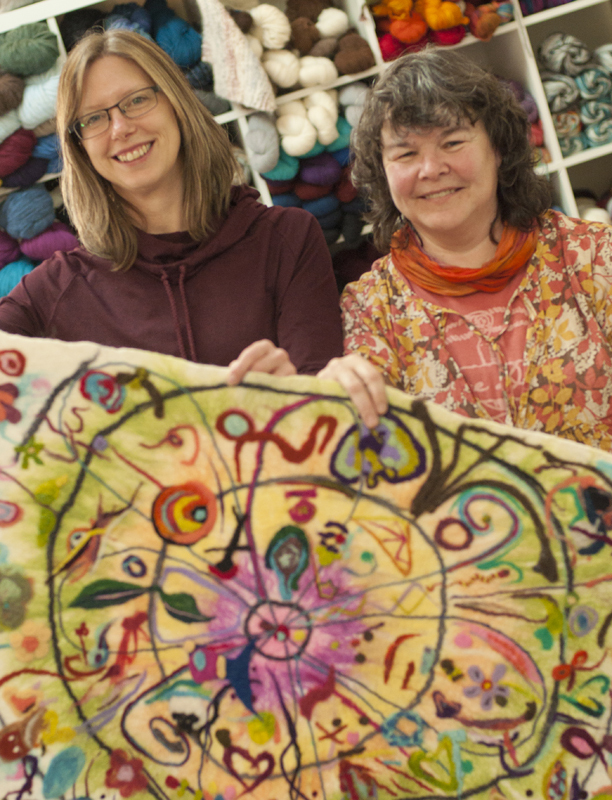 The indigo artist will be the festival’s first-ever guest artist, a sign that the festival is growing, and the reason Ditzler brought in others to help out, including Fly in the Fibre owner Mel Joy, whose business has become a fibre artist hub — which helps feed her own passion. She’s particularly fond of knitting, appreciating the feel and colour. And if the design isn’t turning out the way it should, it can be changed. As many grandmothers do, Ditzler’s tried to teach her and a cousin to knit when they were kids. They just wanted to play outside, though, so Ditzler waited until she was living in northern Alberta years later to teach herself. She later joined the Sheep Creek Weavers and Fibre Artists Guild and discovered just how far textiles could take her. “It’s just a rabbit hole, and then it explodes underneath,” she says. Her favourite fibre art is wet felting, in which layers of wool are combined to create a flat piece of felt fabric, using hands, water and soap. “The possibilities of what you can do with it are endless,” she says. That has helped fibre art to make a comeback. Spinning and weaving, Ditzler says, were popular in the 1970s, while knitting, usually with artificial fibre, was just something grandmothers did. But the ability to share ideas and techniques through the Internet created a renaissance for knitting and dyeing. It’s also accessible, requiring little equipment, a great deal of which can be found in the vendor area. Last year, supplies included local fibres from Skimmerhorn Alpacas and Spectrum Farms. Of course, there will be some finished goods to see, with a gallery set up to display artists’ work. It’s also a chance to commiserate on the challenges of the creative process. “We call certain mistakes ‘design features’,” says Ditzler. The festival will also have an art challenge and a hat challenge; Fly in the Fibre will host a class in April to help contestants prepare for the latter. 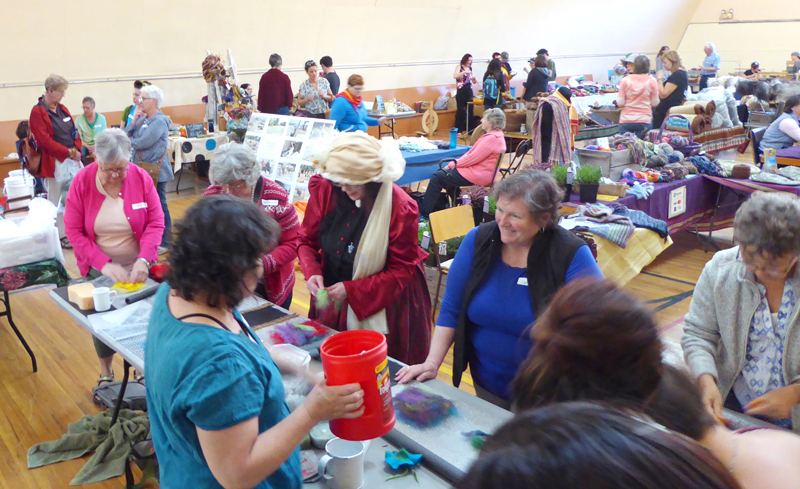 Add it all together and the festival is a place where fibre artists, whether veterans or newcomers, can enjoy a chance to socialize, learn and play. 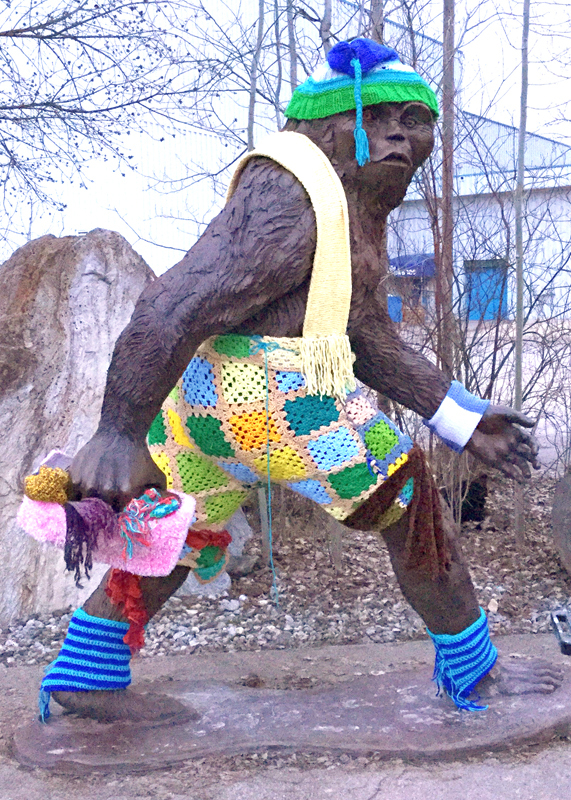 •Admission to the Kootenay Fibre Arts Festival is free, and guests can pre-register for lunch. Learn more at www.flyinthefibre.ca/pages/kootenay-fibre-fest.